The dried mature seed of perennial herbaceous plant Coixlacrymajobi L. var. mayuan (Roman.) stapf of family Gramineae. Light smell, and slightly sweet. Large, firm, white, and full. Sweet, bland, slightly cold and spleen, stomach, and lung meridians entered. Induce diuresis and drain dampness, invigorate spleen to check diarrhea, treat arthralgia, clear heat and drain pus. It has the actions of inducing diuresis, alleviating edema and invigorating spleen without consuming genuine qi and the actions are similar to the actions of Fu Ling. 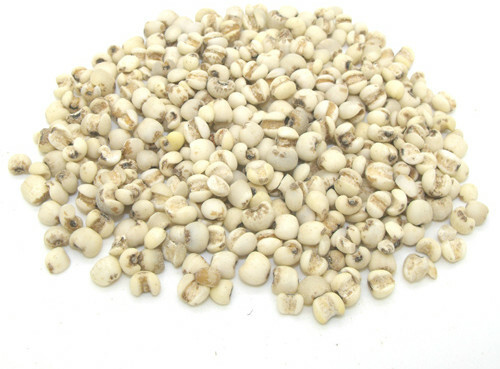 It is suitable for edema, abdominal fullness, and dysuria due to spleen deficiency. It is usually combined with Fu Ling, Bai Zhu, and Huang Qi to strengthen the actions of tonifying qi, invigorating spleen, inducing diuresis and alleviating edema. For downward flow of damp turbidity to the foot, it is usually combined with dampness-drying and collateral-unblocking herbs such as Wu Zhu Yu, Bing Lang and Mu Gua and blood-nourishing and blood-activating herbs such as Bai Shao and Dang Gui. Additionally, it is slightly cold in nature and acts on clearing heat and draining dampness. For heat stranguria and urolithic stranguria, it can be decocted alone such as from Yang Shi Jing Yan Fang (Yang's Experiencial Prescriptions). For damp-warm disease of excess type and damp-heat stranguria, it is usually combined with the damp-resolving herbs. For instance, it is combined with Huo Xiang, Kou Ren and Hou Po in San Ren Tang from Wen Bing Tiao Bian. It has the actions of invigorating spleen, draining and eliminating dampness to check diarrhea. It is suitable for diarrhea due to spleen deficiency. For its action of tonifying is mild, it is usually combined with qi-tonifying and spleen-invigorating herbs. For instance, it is combined with Ren Shen, Fu Ling, Bai Zhu in Shen Ling Bai Zhu San from Tai Ping Hui Min He Ji Iu Fang. It can remove dampness as well as soothe muscle and tendon to relax spasm. It is suitable for damp-arthragia manifested as pain and spasm of tendons. It is usually combined with wind-damp-dispelling herbs and collateral-unblocking herbs. For instance it is combined with Du Huo, Fang Feng and Cang Zhu in Yi Yi Ren Tang from Lei Zheng Zhi Cai (Classification of Syndromes and Treatments). It is slightly cold in nature and can clear heat and drain dampness, So for heat-damp arthragia, it is usually combined with heat-clearing and damp-removing herbs. For instance, it is combined with Fang Ji, Can Sha in Xuan Bi Tang from Wen Bing Tiao Bian and indicated for damp-heat retained in collaterals; it is combined with Ma Huang, Xing Ren and Gan Cao in Ma Huang Xing Ren Yi Yi Gan Cao Tang from Jin Kui Yao Lue and indicated for general pain and fever due to wind-damp attack. It can clear heat in lung and drain dampness in intestine and stomach to expel pus and cure abscess. 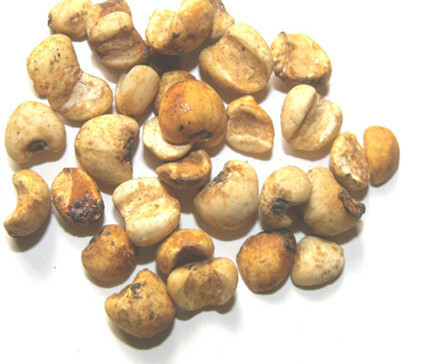 It is usually combined with pus-draining and blood-activiting herbs to treat pulmonary abscess and intestinal abscess. For pulmonary abscess manifested as chest pain and cough with purulent phlegm with fetid odor, it is usually combined with Lu Gen, Dong Gua Ren, Tao Ren. For instance, they are used together in Wei Jing Tang from Qian Jin Yao Fang. For intestinal abscess with pus, it is usually combined with Fu Zi and Bai Jiang Cao. For instance, they are used together in Yi Yi Fu Zi Bai Jiang San from Jin Kui Yao Lue. Decoct 9~30 g. For clearing heat and draining dampness, the unprocessed is better. While for invigorating spleen and arresting diarrhea, the stir-baked is better. It is mild in action, so the dosage should be large.